Discerning photographers both professional and enthusiast have long valued the advantages of a fixed-focal-length prime lens over a zoom. While zooms are more convenient for lots of photographers, primes offer a number of advantages, the foremost of which is image quality. Yes, it’s true the optical performance of zoom lenses is constantly improving, and we’ve seen some great zoom results in Part 1, but the best prime lenses always outperform a zoom. With fewer glass elements, the quality of the light hitting the sensor isn’t diminished as much with a prime as it is with a zoom. This improved light transmission not only ensures a brighter viewfinder, but produces sharper, crisper images, too. 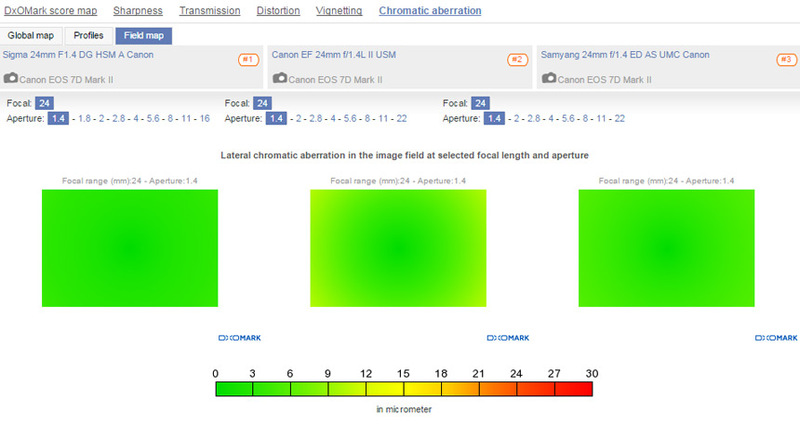 What’s more, with fewer elements, the glass in a prime is more precisely aligned and calibrated to control other factors such as vignetting, distortion, and chromatic aberration much better. 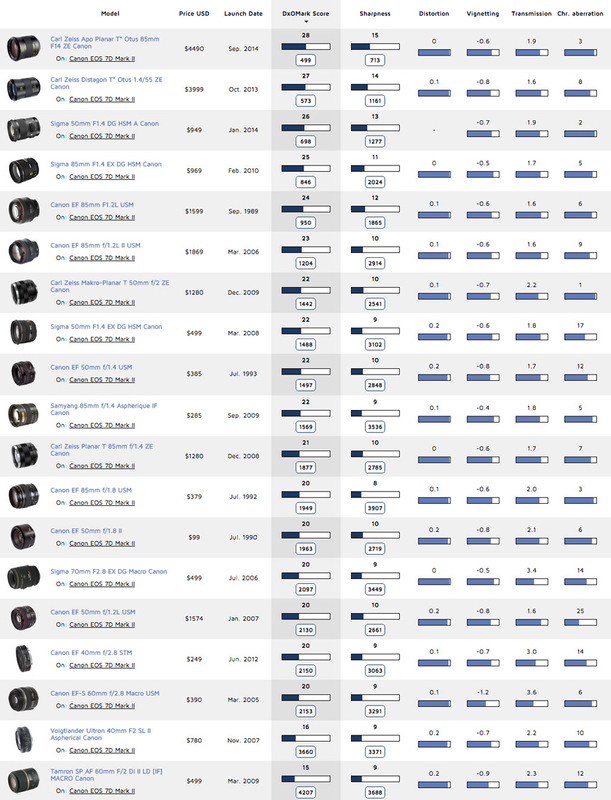 Prime lenses offer a number of other advantages as well, such as affordability, portability, and creativity. Primes are generally lighter and smaller than a zoom, which is both handy for portability, but also more suited to certain photographic subjects. Take street photography, for example, where a small prime will help you work discreetly, or social portraiture, when sticking a large zoom lens in someone’s face can be off-putting. For creative effects and working in low-light, primes often offer “faster” maximum apertures at more affordable prices. Take the new Canon 50mm f/1.8 STM, for example, which at just $125, won’t break the bank for many photographers. That “fast” f/1.8 maximum aperture is really going to help in low-light, allowing you to use lower ISO sensitivity and faster shutter speeds. For creative effects, a wider aperture also makes it easier to throw the background out of focus and produce attractive bokeh, too. A prime lens will make you think about your composition more as well. While zooms can make photographers a bit lazy, with a prime you’re going to have to work harder and often those limitations will help expand your creativity. 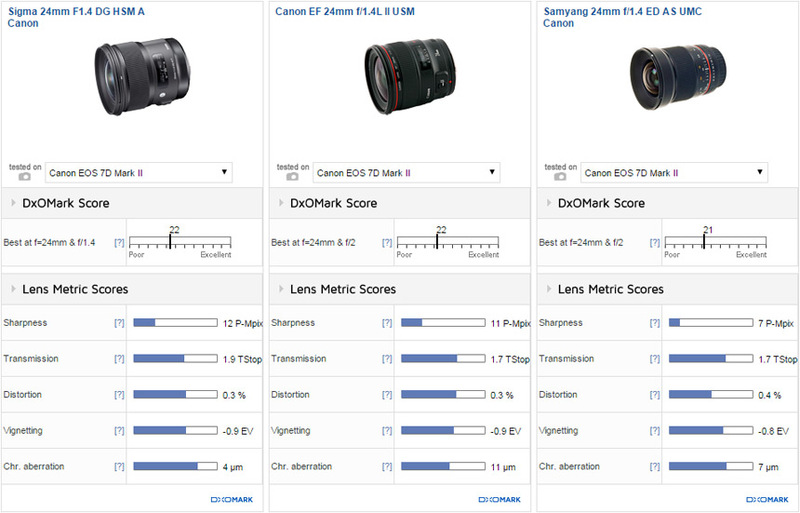 Let’s analyze the verified results for the best prime lenses on the EOS 7D Mark II, grouped into six categories: Ultra-wide-angle, 24mm, 30mm, short telephoto, long telephoto, and super-telephoto. 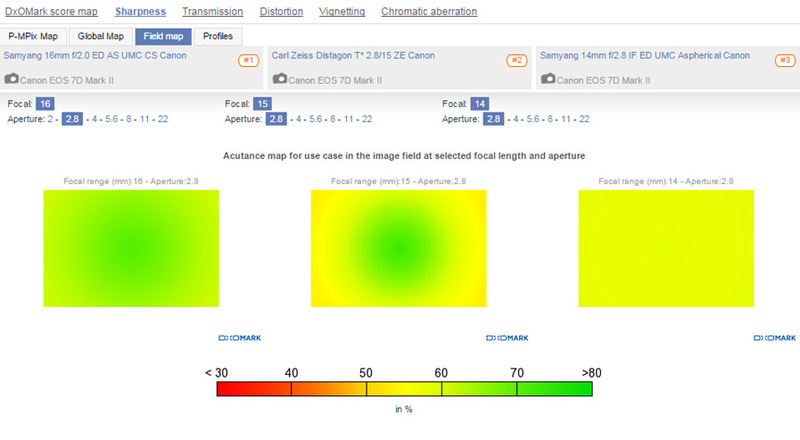 For this review we’ve defined ultra-wide-angle lenses as having a focal length of 16mm or less, which equates to an equivalent 25.6mm on the Canon APC-S. That focal length is more towards a standard wide-angle focal length, really, with ultra-wides for APS-C sensors often as wide as 10mm, or 16mm in equivalent 35mm terms. While ultra-wide-angle zooms such as the EF-S 10-22mm f/3.5-4.5 USM are available for Canon APS-C, 10mm prime lenses are uncommon, and the widest prime we’ve tested on the EOS 7D Mark II is 14mm. Ultra-wides are important for photographers shooting both architecture and landscape images. For architecture, and particularly for interiors where space can be restricted, the ultra-wide field of view ensures that you can fit everything in. Rectilinear ultra-wide-angle lenses also keep lines straight so images don’t suffer from distortion as they do with fisheye lenses, making them particularly useful for professionals. Ultra-wide-angle lenses can also be used creatively for more dynamic images, too, as they exaggerate the space between the near and the far. That makes them popular with landscape photographers who want to emphasize something in the foreground to make it look big and dominating. This effect can also work well for a range of other subjects, such as portraiture or product photography, with other unusual and dramatic effects possible using an ultra-wide-angle lens. We’ve tested five ultra-wide-angle primes on the EOS 7D Mark II, with scores ranging from a low of 14 points for the Carl Zeiss Distagon T* 18mm f/3.5 ZE to a high of 20 points for the Samyang 16mm f2 ED AS USM CS. The Samyang 16mm f/2 ED AS UMC is our top-ranking ultra-wide prime, posting the highest scores for the lens metrics of sharpness, transmission, and chromatic aberration. 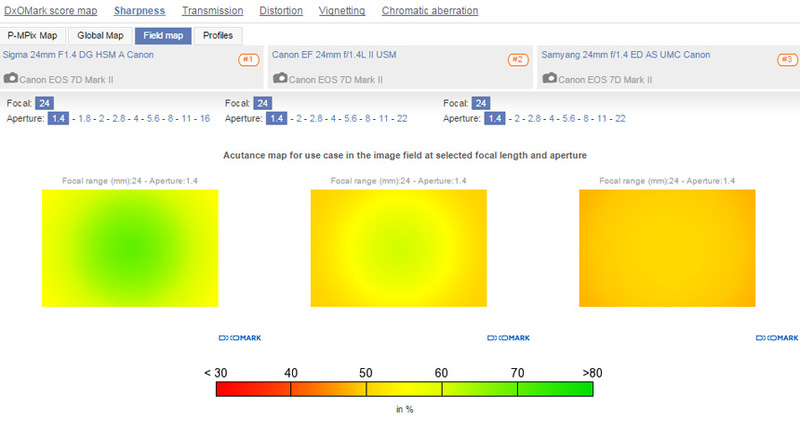 Its transmission score of 2.4 Tstops is around one stop brighter than the top three competitors’, and although distortion isn’t quite as well-controlled as the Zeiss Distagon 2.8/15, it’s significantly better than the wider-angle Samyang 14mm alternative. There’s not much in it for vignetting among the three, but again the Samyang 16mm version offers better chromatic aberration than its 14mm counterpart. At its maximum aperture setting of f/2, the Samyang 16mm isn’t super-sharp, with resolution into the yellow zone, but it offers the same sharpness in the center as in the corners. Stop down to f/2.8, and the Samyang 16mm is the sharpest of the three lenses overall, but resolution isn’t truly homogenous, with edge sharpness dropping off fractionally. All three ultra-wides offer their best sharpness at f/8, with the Samyang 16mm and Zeiss 15mm producing better edge resolution compared to the Samyang 14mm, which still drops off even at this mid-aperture setting. Shooting at f/22 for maximum depth-of-field sharpness on all three lenses drops below 50%, but again the Samyang 16mm just gets the nod. If you don’t need an ultra-wide-angle field of view then a 24mm wide-angle focal length, equivalent to 38.4mm on the Canon APS-C, is versatile for lots of subjects. It’s a popular focal length for wedding or environmental portrait photographers who want to show their subjects within their surroundings. Lightweight, portable, and offering a generous field of view, it’s also used a lot by street photographers who often want to work quickly and discreetly, and by travel photographers who want good-quality images without lugging around really heavy kit. Such 24mm primes are a great low-light option, too, as fast maximum apertures are relatively affordable. 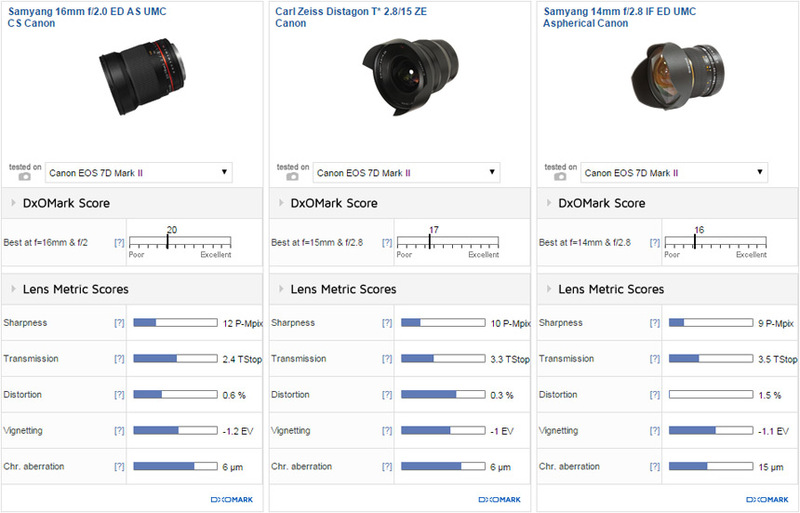 We’ve tested six 24mm prime lenses on the EOS 7D Mark II with scores ranging from a low of 18 points for the Canon EF 24mm f/2.8 to a high of 22 points for the Sigma 24mm f/1.4 DG HSM A. 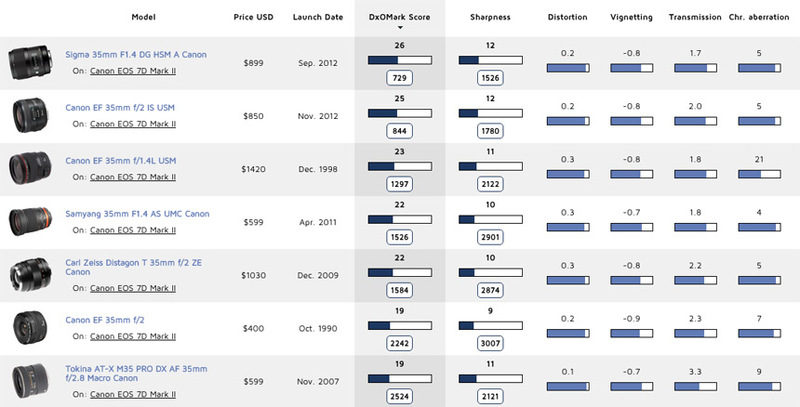 With overall scores of either 22 or 21 points for our top three 24mm primes, it’s a pretty close-run contest. 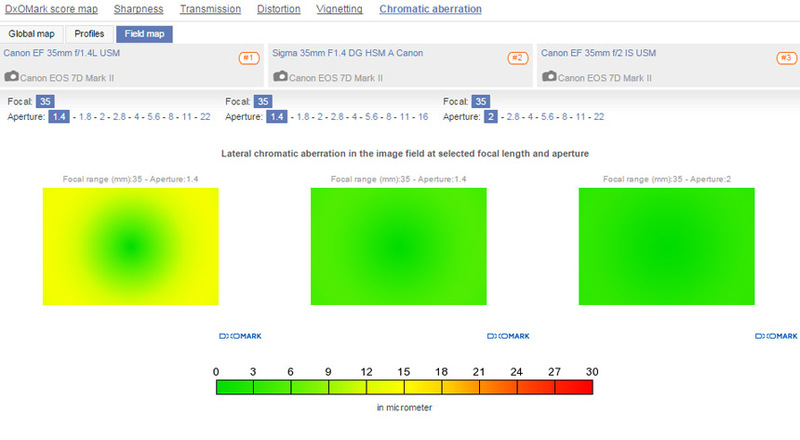 With results for transmission, distortion, and vignetting coming in very close, it’s the sharpness and chromatic aberration scores that separate these 24mm lenses on the EOS 7D Mark II. 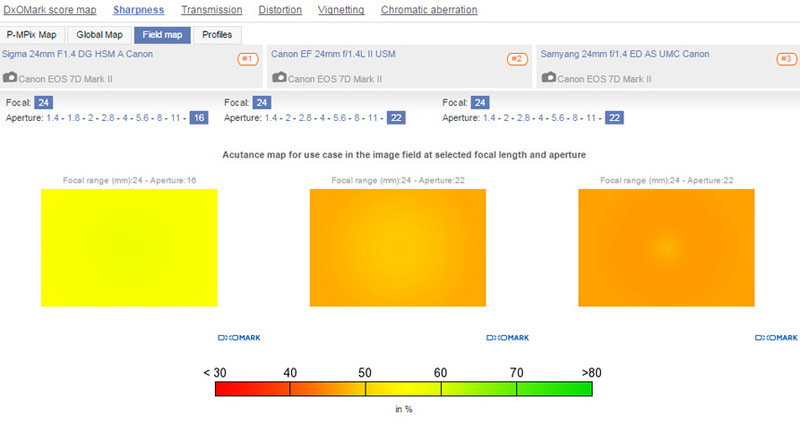 For sharpness, the Samyang 24mm f/1.4 ED AS USM is actually far behind the Sigma and Canon competition, as it doesn’t offer homogenous resolution at any aperture setting. Between the Sigma and Canon 24mm primes, the Sigma just takes the crown with a sharpness score of 12P-Mpix compared to 11P-Mpix for the Canon; and crucially, the Sigma performs better than the EF 24mm L at both its maximum and minimum aperture settings. 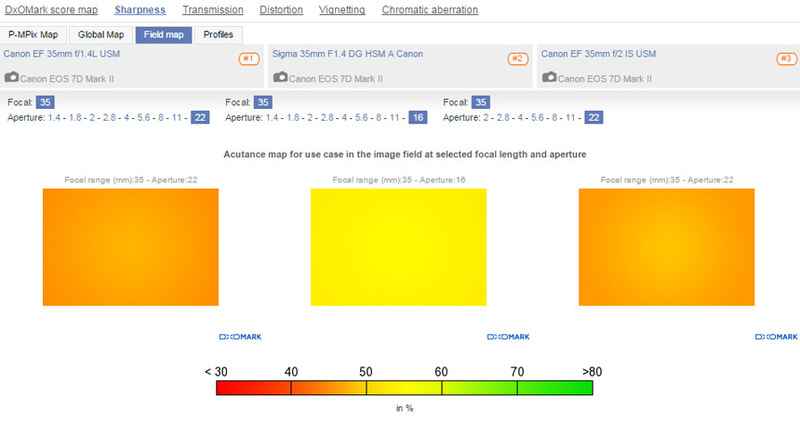 At the maximum f/1.4 aperture, the Sigma resolves the best, with strong resolution in the center of the frame, and at f/22, it’s also the sharpest of the three. 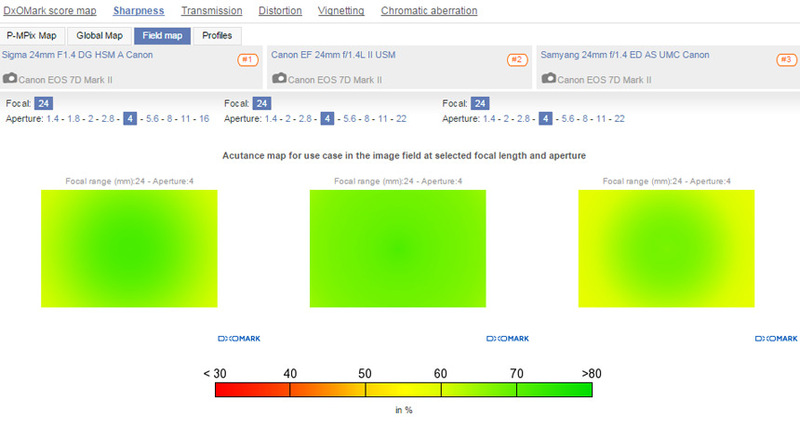 That said, the Canon 24mm f/1.4L boasts superior sharpness in the middle of the aperture range, with the strongest results between f/2.8 and f/8. That will make the Canon L version the more attractive prime for many photographers, but bearing in mind that you can pick up the Sigma equivalent for around half the price, the third-party alternative does a great job. Taking into account the Canon APS-C “crop factor,” a 35mm prime translates to around a 56mm focal length on the EOS 7D Mark II. 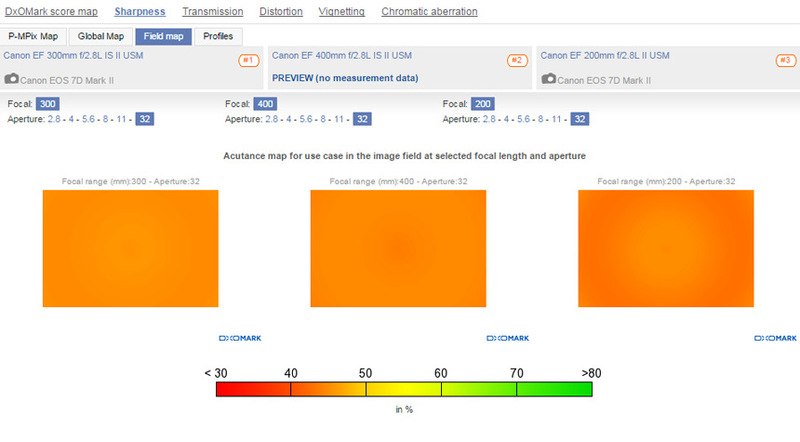 50mm is often referred to as a “normal” or “standard” focal length, as it offers a field of view similar to human vision, if you exclude peripheral vision. That makes the 56mm focal length achieved using a 35mm prime on the EOS 7D Mark II pretty versatile across a range of subjects. 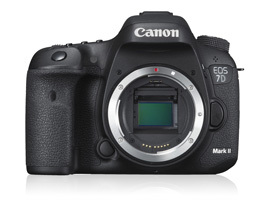 It’s also a good choice for three-quarter- or half-length portraiture on the 7D Mark II, and with “fast” f/1.4 or f/2 apertures available at a reasonable price point, it’s a useful lens in low-light, too. 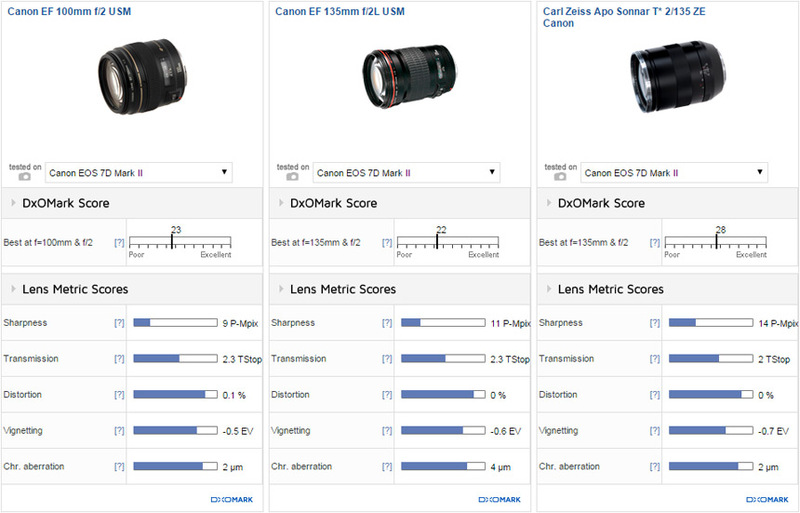 We’ve tested seven 35mm prime lenses on the EOS 7D Mark II with scores ranging from a low of 19 points for the Tokina AT-X M35 PRO DX AF f/2.8 Macro, to a high of 26 points for the Sigma 35mm f/1.4 DG HSM A.
There’s a small sense of déjà vu from the best 24mm prime review here, with one of Sigma’s flagship A (or Art) prime lenses and a pro-grade Canon L optic sitting among the top three. However, both are joined by a much older and notably cheaper Canon EF 35mm f/2 IS USM lens, which while a stop slower, punches above its weight in this category. In fact, it’s the Sigma 35mm f/1.4 and the older EF 35mm f/2 vying for pole position, with the Sigma 35mm f/1.4 A just coming out on top, 26 points to 25. 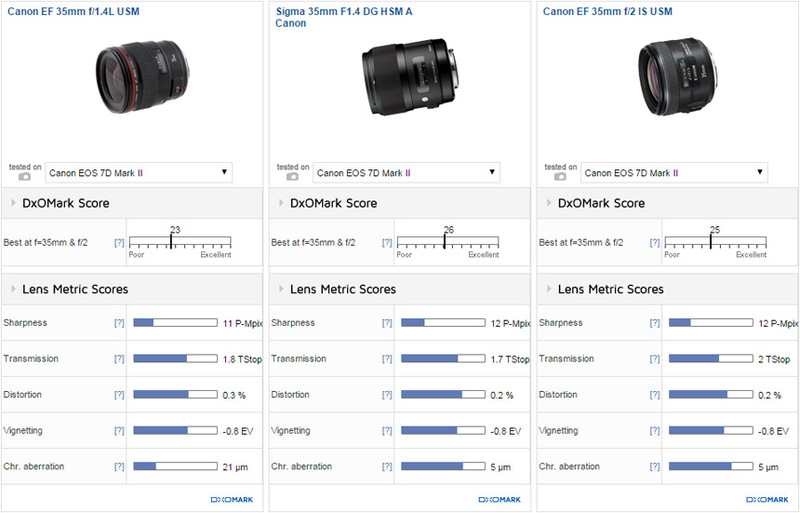 The two optics have amazingly similar lens metrics, achieving the same scores in each category except for transmission, for which the Sigma 35mm is just one-third of a stop ahead — so not much! 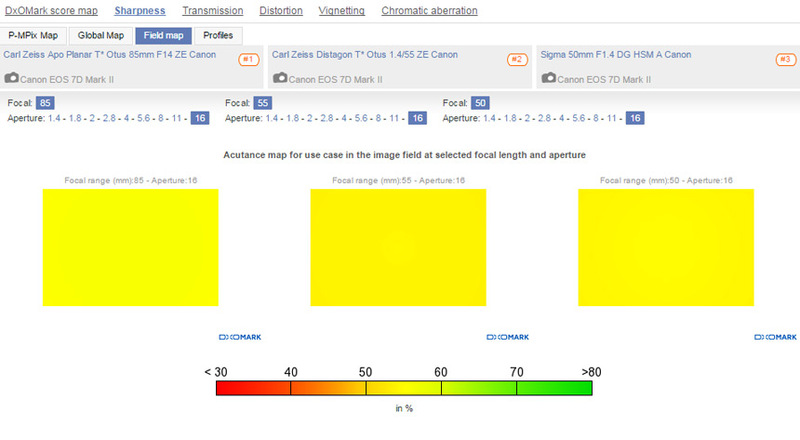 For sharpness at the maximum aperture of f/1.4, the Sigma 35mm is ahead of the EF 35mm f/1.4L version, with notably better resolution in the center of the frame. Stop down to f/2, and the EF 35mm f/1.4L improves in the center, but the corners still drop off quicker than with the Sigma version, which is a little more homogenous. 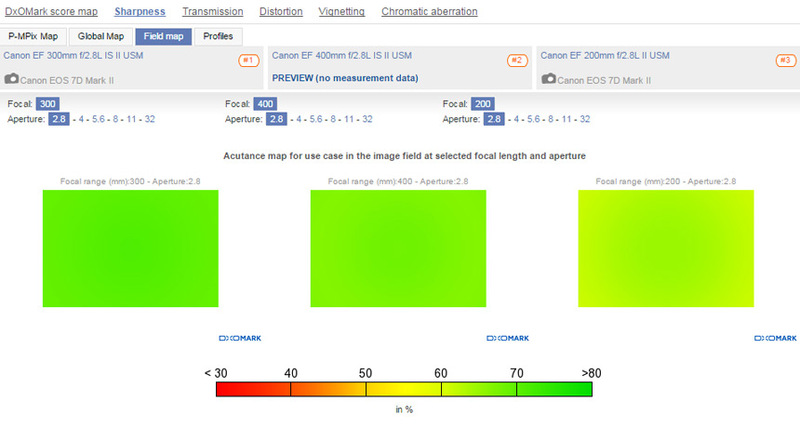 In fact, despite f/2 being the maximum aperture of the older EF 35mm f/2 IS USM version, it isn’t far off the pro-grade “L” equivalent at f/2 for resolution. 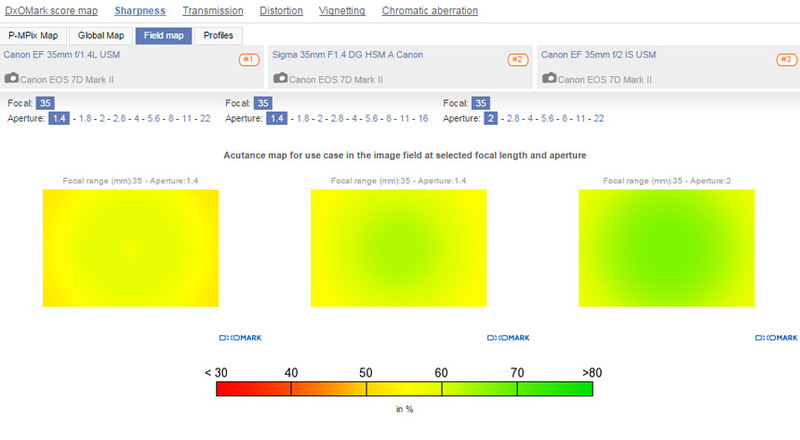 Both the Canon 35mm L and Sigma 35mm offer the best resolution between f/2.8 and f/5.6, but the Sigma is stronger in the corners. The EF 35mm f/1.4 offers relatively poor control of chromatic aberration compared to the competition, with more fringing evident in the corners at all aperture settings. A short telephoto prime is ideal when you want to fill the frame while shooting your subjects from a little distance so you’re not on top of them. For natural reportage at events and weddings, a short telephoto helps capture proceedings organically as they unfold, without distracting or interacting with your subjects. We’ve tested seventeen short telephoto lenses on the EOS 7D Mark II with focal lengths between 40 and 85mm, equivalent to around 64 – 136mm on the EOS 7D Mark II. 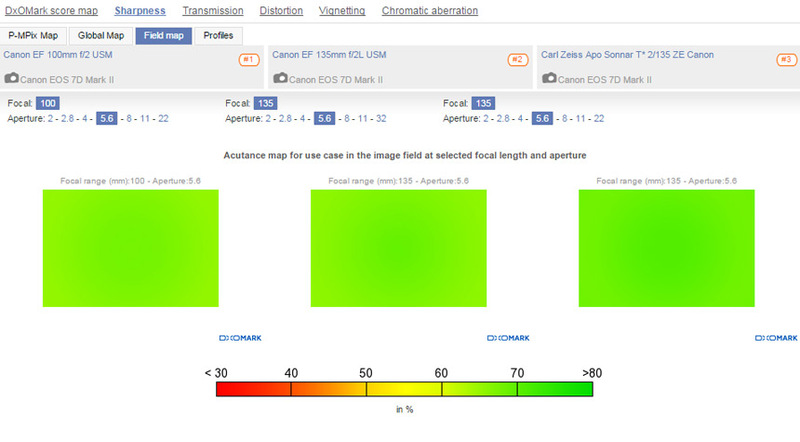 Scores range from a low of 15 points for the Tamron SP AF 60mm f/2 Di II LD to a high of 28 points for the Carl Zeiss APO Planar T* Otus 85mm f/1.4. Another prime from Sigma’s Art range, the 50mm f/1.4 DG HSM A, has made it onto the podium in third place for short telephoto lenses with 26 points overall, alongside two super-expensive Carl Zeiss 55mm and 85mm options. 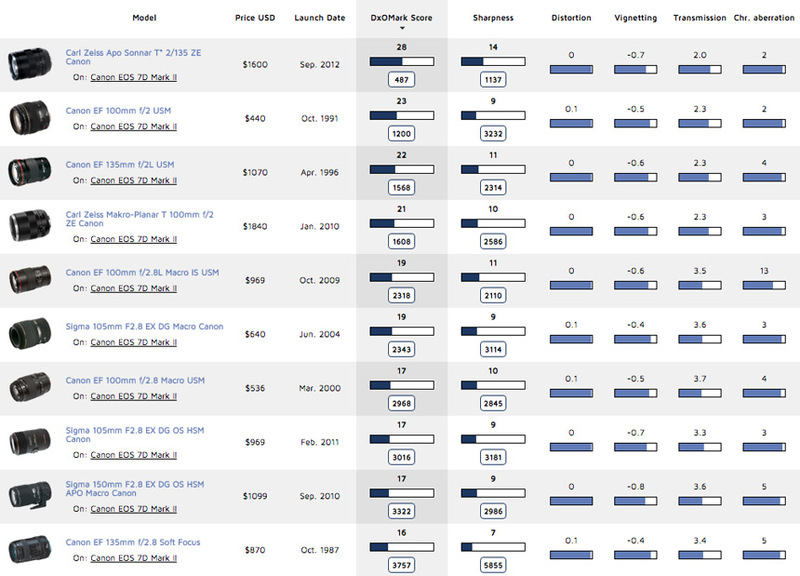 The $4990 Carl Zeiss Apo Plana T* Otus 85mm f/1.4 ZE (Otus 85mm f/1.4) comes out on top with 28 points overall. With an equivalent 136mm focal length on the EOS 7D Mark II, combined with its “fast” f/1.4 aperture, the Otus 85mm f/1.4 is a great choice for portraiture or creative video, if your pockets are deep enough. The Carl Zeiss Distagon T* Otus 1.4/55 ZE (Otus 55mm f/1.4) offers a slightly more versatile 88mm focal length, however, and just slips into second place overall with 27 points. 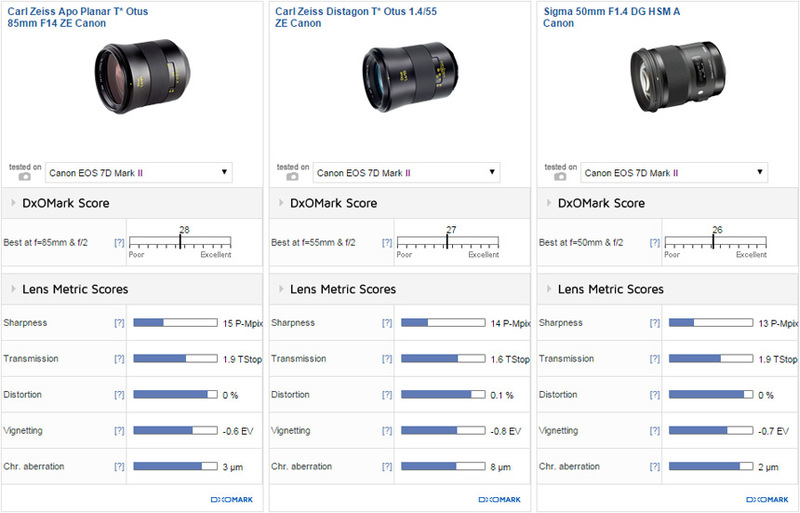 For the lens metrics of transmission, distortion, and vignetting, there’s very little difference among these three short telephoto primes. Both the Zeiss 85mm f/1.4 and Sigma 50mm f/1.4 boast well-controlled chromatic aberration at all aperture settings. The Otus 55mm f/1.4 does tend to fringe a tad more at the wider aperture settings, but it’s not a massive issue. 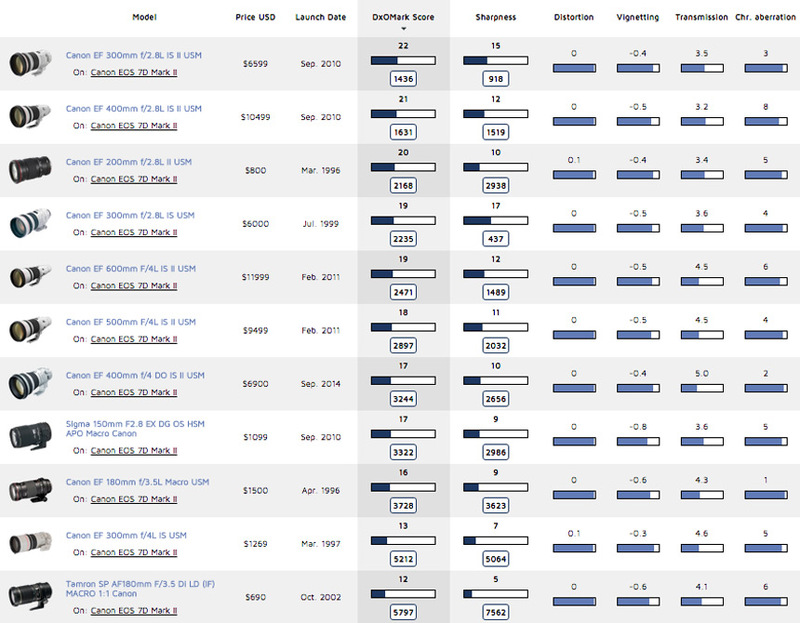 Sharpness scores among the three are pretty close, too, with the Otus 85mm f/1.4 coming out on top with 15P-Mpix, compared to 14P-Mpix for the Otus 55mm f/1.4 and 13P-Mpix for the Sigma 50mm f/1.4. The Otus 85mm f/1.4 displays great resolution between f/1.4 and f/8, and is at its best between f/2.6 – 5.6, where it’s tack-sharp. Its resolution at the small aperture settings of f/11 and f/16 does drop a little, but it remains homogenous at all aperture settings. At f/1.4, the Sigma 50mm f/1.4 is slightly sharper than the Otus 55mm f/1.4, but despite this difference, both lenses feature similar resolution throughout the aperture range, with their sharpest results between f/2.8 and f/5.6. A long telephoto prime on the EOS 7D Mark II will offer equivalent focal lengths between 160mm to 240mm if you need to get even closer to the action. 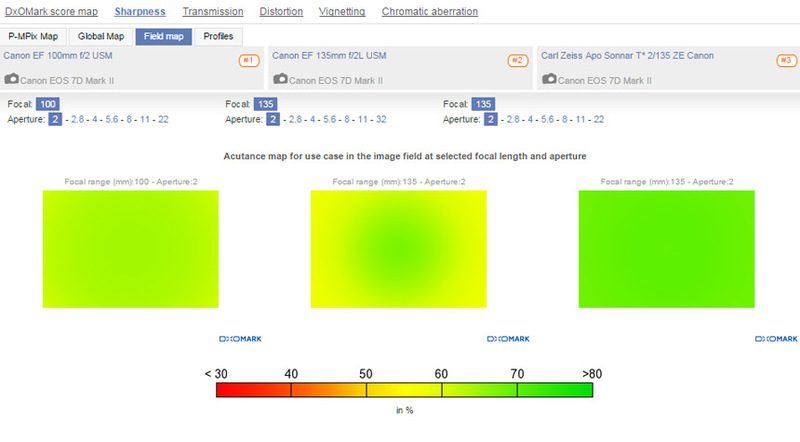 This category includes such macro options as the EF 100mm f/2.8L Macro IS USM and the Sigma 150mm f/2.8 EX DG OS HSM. 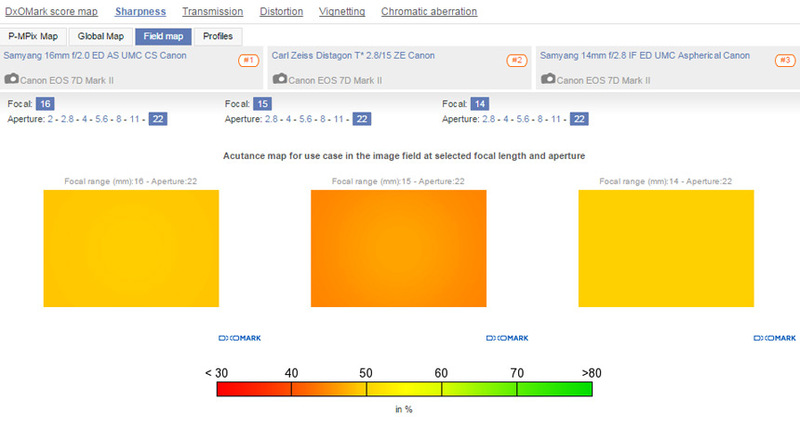 We’ve tested 10 long telephoto prime lenses on the EOS 7D Mark II, with scores ranging from a low of 16 points for the Canon EF 135mm f/2.8 Soft Focus lens to a high of 28 points for the Carl Zeiss Apo Sonnar T* 2/135 ZE. If you’re after the best of the best in this category, the $1822 Zeiss 135mm f/2 is miles ahead of the Canon EF competition, scoring 28 points overall. 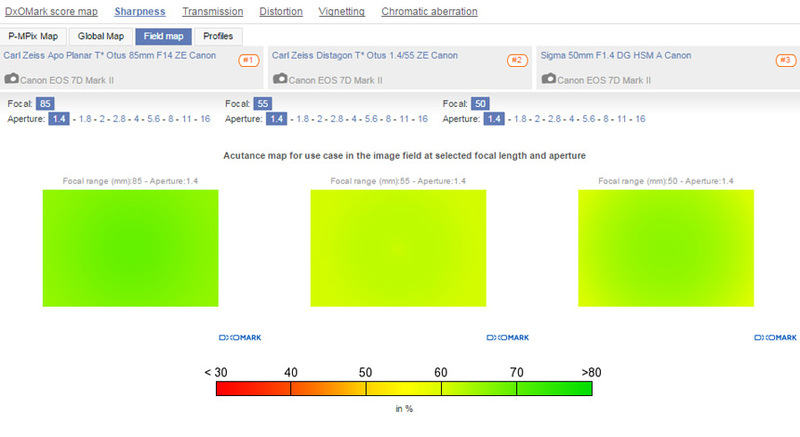 The Zeiss’s performance for sharpness is what really makes the difference, as results across the other lens metrics are fairly similar in comparison. Scoring 14P-Mpix for sharpness, the Zeiss really makes the most of the EOS 7D Mark II’s 20Mp sensor, with razor-sharp resolution from the maximum f/2 aperture through to f/5.6. It’s not quite as strong from f/8, but resolution is still homogenous across the frame. Between the Canon EF options, the older and cheaper 100mm f/2 USM puts in a very respectable performance against its 135mm f/2L rival. At f/2, the 100mm isn’t quite as sharp in the center, but resolution is more consistent into the corners compared to the 135mm at this setting. Sharpness at the remaining aperture settings is pretty consistent however, so if you can live with the shorter 100mm focal length, the cheaper $499 price tag for the EF 100mm f/2 USM makes it an attractive option that does a very respectable job on the EOS 7D Mark II. Super-telephoto lenses help photographers with restricted access get much closer to the action. Big, heavy, expensive, and cumbersome to use, they’re really the preserve of professional sports, wildlife, or press snappers whose jobs rely on filling the frame with the action. The “fast” f/2.8 or f/4 apertures are required in low-light environments when you still need a fast shutter speed to freeze the action. 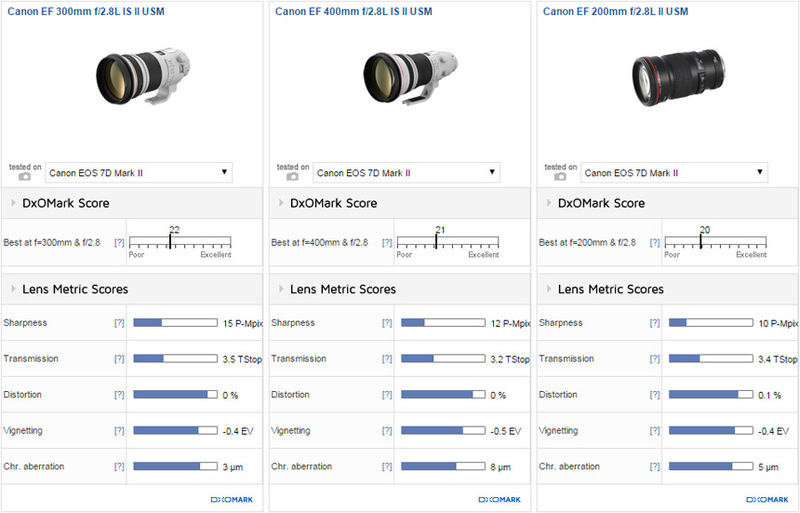 We’ve tested 11 super-telephoto lenses on the EOS 7D Mark II, with scores ranging from a low of just 12 points for the Tamron SP AF180mm f/3.5 Di LD (IF) Macro 1:1 to a high of 22 points for the Canon EF 300mm f/2.8L IS II USM. The second-generation iterations of Canon’s own 200mm, 300mm and 400mm “fast”aperture f/2.8L primes occupy the three podium positions for super-telephoto primes. The sterling performer is the 300mm, a workhorse lens for many pro snappers shooting full-frame; on the EOS 7D Mark II, its equivalent 480mm is better suited to motor sports or wildlife photography. The 300mm’s sharpness score of 15P-Mpix is head and shoulders above the competition, and it’s not only pin-sharp at the wider aperture settings between f/2.8 and f/8, it’s also homogenous throughout the aperture range. If you need a whopping 640mm equivalent focal length, the 400mm is also respectably sharp at f/2.8 and f/4, it’s just not quite as strong as the 300mm equivalent. At f/2.8, sharpness on the 200mm is relatively weak by comparison, but still good by most standards, and offers a cheaper, lighter, and more practical lens with a 320mm equivalent focal length on the EOS 7D Mark II.